Great to see political action being encouraged by Artsfunding.ning this morning as they put a call out for people to sign up themselves and their networks to a petition calling for a full commons debate on the magnitude of financial cuts to the arts. With huge reductions in funding anticipated in October and guaranteed by April it is imperative that the arts community in the UK makes a noise and creates a platform for debate around how creativity, particularly the non-commercial variety, is funded in this country. Although all sectors are going to have to tighten their belts over the coming years the arts are often seen as an easy target and an unnecessary luxury in amongst the grand scheme of things. 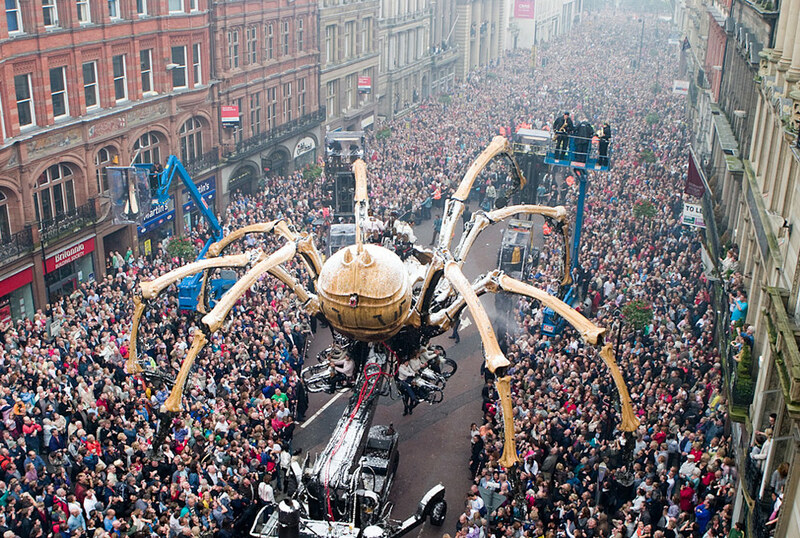 However, the arts are a major employer - generating far more revenue than they cost to fund - as well as being a major attraction for tourism (just check out the crowds for La Machine above and Deller's Procession below), a means of creating a sense of place in an increasingly homogenised world and arguably the most effective way of encouraging community cohesion in a fragmented society. If current models are entirely replaced with idealised visions of patronage it seems inevitable that commercial value over creative value will become the yardstick for success ultimately reducing these benefits to a mere financial calculation. 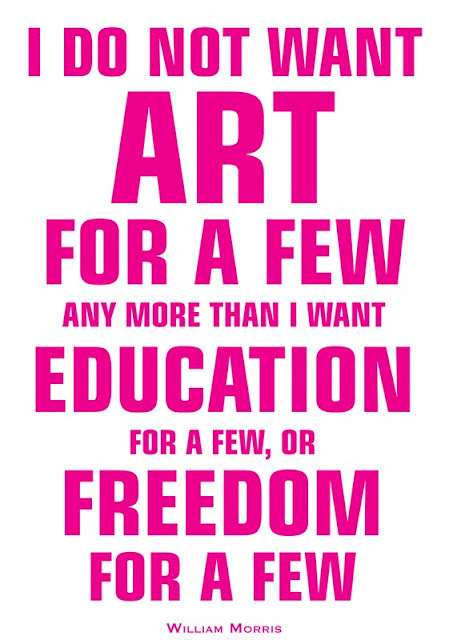 That's why it is essential, right now, that anyone with an interest in the arts makes their voice heard. 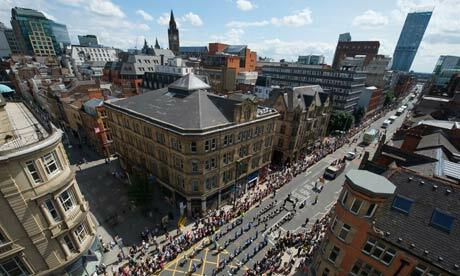 Over the last 30 years public protest has been discredited by the powers that be to the point that anyone engaging in direct action, whether disobedient or not, is immediately labelled a kook or a crank whose voice falls outside of the realms of civilised debate allowing their concerns to be struck from the agenda prior to any discussion taking place. In order to combat this state of affairs it is incredibly important that people who wouldn't normally involve themselves in public debate step up and make their voices heard - particularly as David Cameron has stated that any petition reaching 100,000 signatures is guaranteed a Commons debate on the matter raised. So instead of retiring to an inherent/inherited British sensibility of tutting and reaching for the teapot/beer instead of being willing to engage in healthy confrontation, head over to GoPetition and sign up to help influence the political agenda and ultimately policy on how the arts are funded. Then encourage a friend, colleague or family member to do the same.